Manassas, VA – January 16, 2019 ZESTRON, the global leading provider of high precision cleaning products, services, and training solutions in the electronics manufacturing and semiconductor industries, is pleased to announce that it will release the ZESTRON® EYE Mobile at IPC APEX 2019. The ZESTRON® EYE Mobile is the latest addition to ZESTRON’s family of concentration management and measurement solutions. Offering an ability to monitor the concentration of multiple cleaning processes, this new device works with various cleaning machines, and stores multiple profiles. Using the ZESTRON® EYE mobile as a single tool to monitor multiple cleaning processes ensures optimal resource utilization in a lab or production environment. 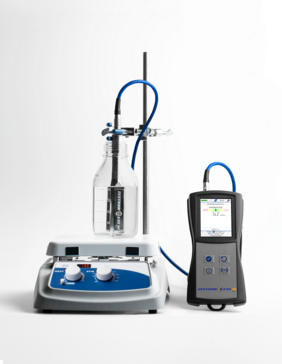 User friendly software guides users through the measuring process, providing dosing recommendations for corrections to bath concentration. Incorporating the ZESTRON® EYE Mobile into any cleaning process increases production efficiency and improves traceability by documenting results with built in digital reporting functionality. To see a live demonstration of the ZESTRON® EYE Mobile visit our booth #3323 at IPC APEX 2019.